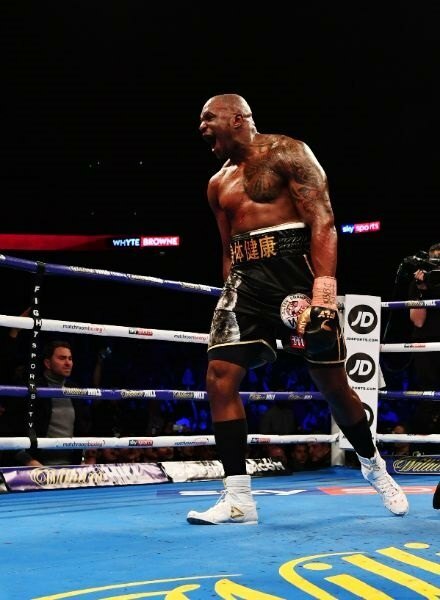 Dillian Whyte put on an impressive display at the O2 Arena, culminating in an emphatic sixth round knockout victory against the undefeated Lucas ‘Big Daddy’ Browne. 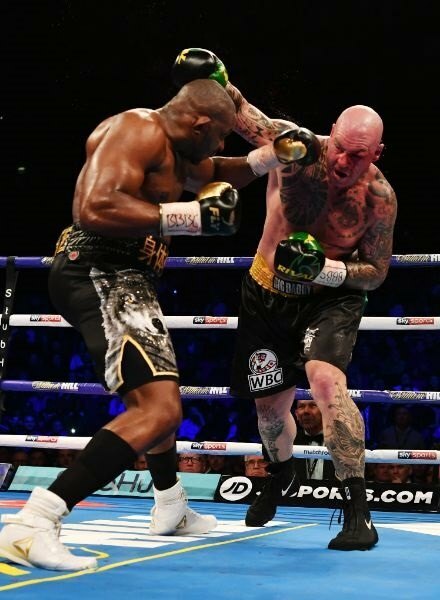 Whyte, 29, controlled all the early exchanges and never looked in trouble, before landing a perfectly timed left-hook to solidify his position as the number one contender for Deontay Wilder’s WBC Heavyweight title. “Deontay Wilder, where you at, June,” an animated Whyte said in the post-fight interview. The Brixton fighter (The Body Snatcher) had come out howling, donning a top with his signature ‘Lone Wolf’ imprinted on it. However, by the end of the third round that title would have been more fitting for his Australian opponent. Whyte, with the full support of the O2 Arena, looked fully at home going through his repertoire without putting himself at risk. Meanwhile, Browne’s face was smeared with blood following a cut from the opening round. The undefeated fighter attempted to change the dynamic of the fight with hopeful single shots. As both boxers returned to their corners after the fifth round, Browne looked visibly in trouble. And even though he was unable to establish himself, he showed courage throughout. That courage could not prevent the devastating knockout hook, which demanded that the referee wave the contest off immediately. It was a chilling finish fitting for the Body Snatcher who can now put his feet up and watch Anthony Joshua against Joseph Parker in their unification mega-fight in Cardiff. Wilder has already signalled his intention to fight the winner of AJ and Parker, however after the Bronze Bomber’s stuttering performance against Luis Ortiz, Whyte will be confident of success if the fight can be made. Click here to check out JD Sports’ latest boxing range.